that is apt to be repeated. BTW, it’ll be Garage Sale Day again on the 14th. LOL, this year both of these holidays fall on weekdays–that can’t be right! Did you know it’s Don’t Wait, Celebrate Week and Resurrect Romance Week? Let the latter help you to come up with how you’ll do the former. 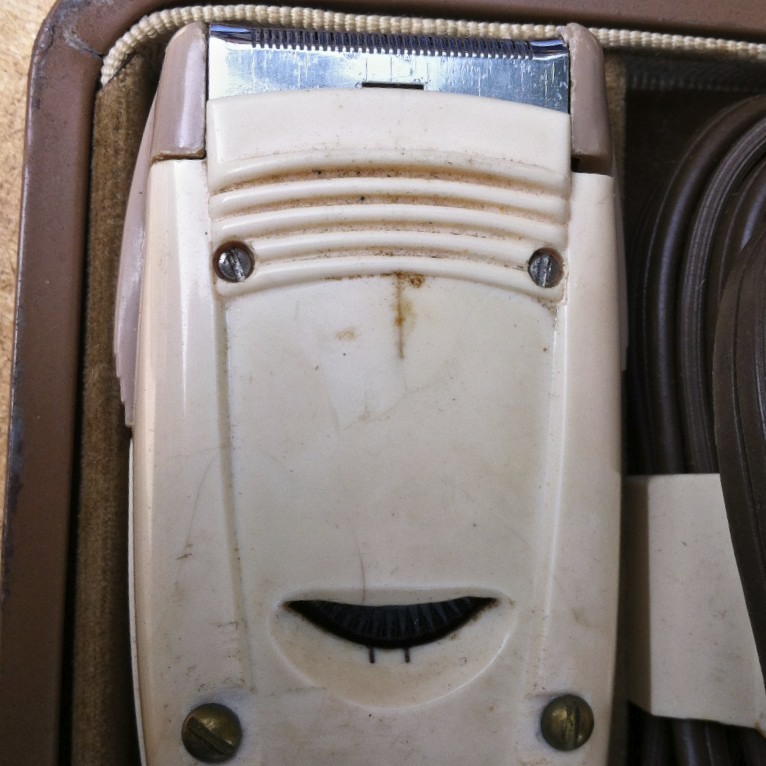 Hey, and maybe use today’s Smiley Shaver I found at a garage sale to get ready for your big, romantic date. Today we send birthday wishes to Joe Jackson (1954), not the baseball player, not the basketball player, not Michael’s dad, but the musician. BTW, the Smileys and holidays on a month full of Smiley Silliness are all different than the ones you see here on the website’s Daily Smiley. There we celebrate Pocket Day. Plus as is often the case, just for grins, you get a different Garage Sale Smiley in the Smiley-a-Day emailer. In case you can’t tell, today’s photo is an old electric shaver.